Cool! 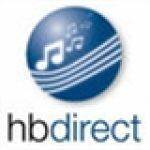 Save an average of 20% on hbdirect.com with 9 Coupon Codes, and 10 Deals! Details: Single-disc Naxos CDs $6.99 through 12 noon ET 5/2/2011. IMPORTANT: on web site, click RSVP logo and enter coupon code to activate discount; do not wait until checkout. Details: $10 off $125+ order. Expires 6/30/2011. One use only; cannot be combined with other coupons. Details: Get free shipping on $25+ orders. Select "FreeFreight" on second page of checkout; delivery time takes longer. Details: April 2011 sale labels: Berlin Classics, Brilliant Classics, Decca, Gothic, Hungaroton Records, Hyperion, Loft Recordings, Music & Arts, Naive. Details: Get $5 off any order of $50 or more. Details: Any single Naxos CD free with $100+ order. Expires 6/30/2011. One use only; cannot be combined with other coupons. Details: Get $5 off any order of $75 or more. Details: $5 off $75+ order. Expires 6/30/2011. One use only; cannot be combined with other coupons. Details: Take any single Naxos CD free when you order $75 or more. Expires 8/31/2011. Single use only. Details: Take $5 off $50 order. Single use; cannot be combined with other offers. Expires 12/31/2010. Details: $6.99 Naxos pre-price-increase sale through 12 noon ET 4/4/2011 (Naxos single-disc MSRP increasing to $9.99). Details: May 2011 sale labels: Alia Vox, Arte Nova Classics, BBC Legends, BIS, EMI Classics, Hanssler Classic, PentaTone Classics, Telarc, Tudor. Details: Sale: save 40% on all Naxos Classical CDs (6.59 per single CD). Ends 12 noon ET on 9/1/2011. dg, decca, and philips on sale through midnight, monday 9/12/2011. Details: DG, Decca, and Philips on sale through midnight, Monday 9/12/2011. Details: Five-day Everything is On Sale runs 12/10/2010 through 12/14/2010. Every CD, DVD and Blu-Ray is on sale. Free shipping on $25+ orders (select FreeFreight shipping option). three label sale through midnight et 4/25/2011: deutsche grammaphon, decca, philips. Details: Three label sale through midnight ET 4/25/2011: Deutsche Grammaphon, Decca, Philips.